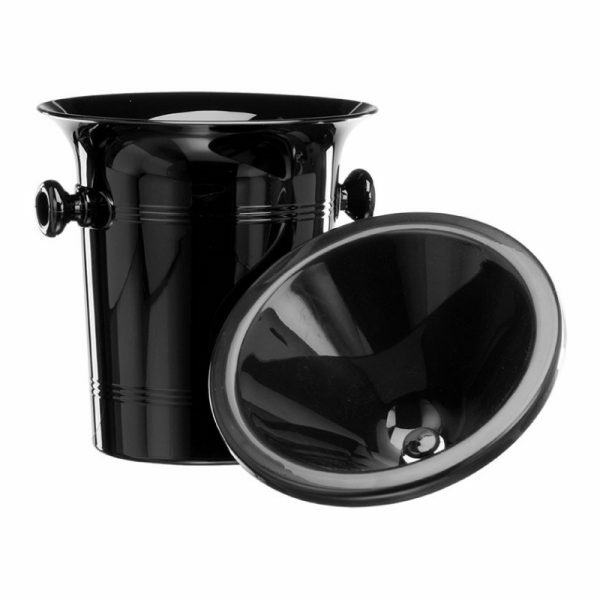 Classic Black Plastic Spittoon with 4 litre capacity. Removable lid makes this spittoon easy to empty and quick to clean. A practical option for busy wine tastings and events. Discreet appearance with neat carry handles either side. Black plastic spittoon built for reuse and made from widely recyclable material. Ideal size for sharing between 4-6 people. Base can be used as an ice bucket on separate occasions.